Taizhou Jobo Machinery Mould Co., Ltd.
Ltd , is a direct manufacturer and exporter specialized in water treatment plants, beverage filling machine, packing machine, bottle blowing machine, injection moulding machine and spare parts of filling line. Our factory was established in the year of 1995, with the long history of accumulated experience in filling machine industry in south Jiangsu. 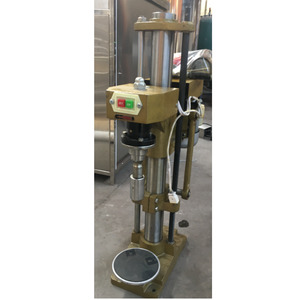 There are many development engineer of filling machine in our We devote ourselves to the development, research and production of liquid food and beverage packing and filling industry. 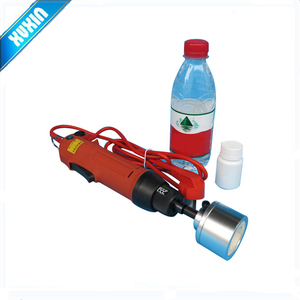 &diams; Description &diams; This manual small bottle cap locking machine is mainly used for small cylindriod vials, penicillin bottle, oral liquid bottle, bird's nest bottle aluminum cover sealing etc. &diams; Features &diams; 1. 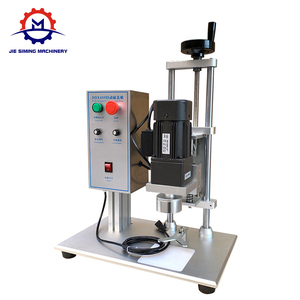 The manual small oral solution bottle cap locking machine is mainly used for various small glass bottles, such as small cylinder vials, penicillin bottle, oral liquid bottle, etc. 2. The capping part of the manual small oral solution bottle cap locking machine can be customized according to customer's bottle size. 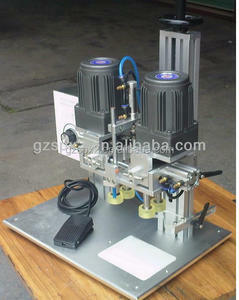 It is a necessary sealing equipment for wine, Drink and pharmaceuticals industries etc. 2. Warranty time: 1 year( main part for you freely within 1 year, such as motor). 3. We will send the English instruction manual and operate video of the machine for you. ,Ltd is the biggest professional manufacturer for homebrew products in China . We ensure we can provide the best price , best quality and best service to you . We have already exported large orders to foreign countries . Guangzhou Shaofeng Mechanical Device Co., Ltd.
W e offer one year guarantee for new machine since it leaves factory(within guarantee), Quick-wear part is excluded. We always test the machine one by one, make sure it works well before leaves our factory. 6). If you want to know more information about the semi automatic beer bottle soda bottle crown cap sealing machine, please contact with me . When we have the confidence on the high quality of our products, we offer very competitive prices at the same time. We look forward to longterm and prosperous cooperation with customers around the world. Before Purchase Need any information of the item before customers' purchase. 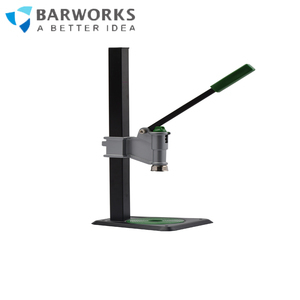 This Capper is an essential part of any homebrewing kit! The Capper is perfect for homebrewers of all levels. Pick yours up today and become a bottle capping machine! 1.Max. 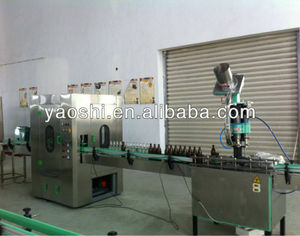 beer bottle crown cap sealing machine 1.This machine has simple and reasonable structure, small machine easy to operate. 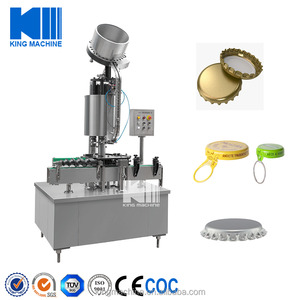 beer bottle crown cap sealing machine 1.Before sending the machine,we will test and adjust,so you can use directly when you get it. 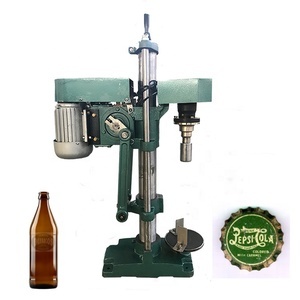 beer bottle crown cap sealing machine Zhengzhou Cambrian Machinery And Electronic Co., Ltd.
Alibaba.com offers 3,682 crown cap machine products. About 19% of these are capping machines, 1% are sports caps, and 1% are other metal & metallurgy machinery. A wide variety of crown cap machine options are available to you, such as free samples, paid samples. 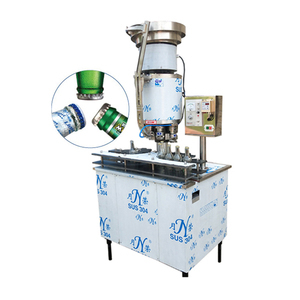 There are 3,622 crown cap machine suppliers, mainly located in Asia. The top supplying countries are China (Mainland), Vietnam, and Pakistan, which supply 97%, 1%, and 1% of crown cap machine respectively. 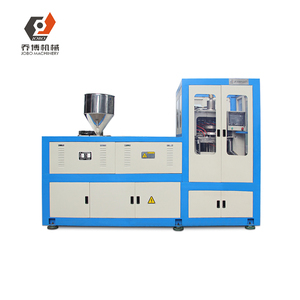 Crown cap machine products are most popular in Domestic Market, Africa, and Southeast Asia. You can ensure product safety by selecting from certified suppliers, including 670 with ISO9001, 485 with Other, and 68 with ISO14001 certification.